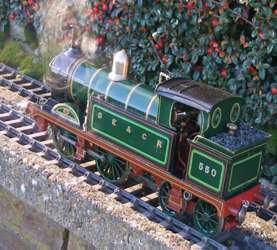 From your spanners, fasteners and cutting tools to your steam fittings (including your pressure gauges, Viton balls and more), we stock the largest supply of model engineering supplies you’re likely to find anywhere in Wiltshire. Also, as model engineers ourselves, you can rest assured you’re getting the best tool for your model project because we’re as passionate about your project as you are. Please check out our product catalogue for our full list of supplies. We endeavour to have your supplies delivered to you as soon as possible. Ideally, we’d like to confirm your payment before this happens. Payments can be made via cheque upon receipt of your goods, via electronic transfer (please contact us for account details) or by PayPal @ JustTheTicketEng@Gmail.com.